Branding is all about storytelling. It’s about creating an imagery that the consumers aspire to associate themselves with. The Liril girl is the classic example of how conservative middle-class women found their source of freedom in their bathroom using the brand Liril. Or be it the Lux soap, the soap of the film stars, that made people feel like the stars when they used the brand. These are all stories created by smart advertising and followed by smart events, weaving a magic spell around these brands. But these have always cost a lot of investment which made it possible only for very big brands and companies to indulge themselves in this journey. Besides, over a period of time, these have become the common ways for brands to promote themselves. How can brands stand apart in today’s world of clutter? Thanks to the technological revolution, there is a plethora of options available today. We are seeing the successes of YouTube stars who are raking in the millions or Instagram celebrities charging a fortune for endorsements. So what new avenues could brands explore to tell their stories? Biographies/biopics: Thanks to tools like Kindle Direct Publishing that lets everyone with a story find a platform, today anyone can become an author. So the story of your Chairman, written by an amateur author might be a bestseller. YouTube offers us avenues wherein we can make films at our will. A biopic involving the experiences of our employees and the journey of their lives in the form of a feature film, shot by an amateur/professional film maker could be a bestseller. I am sure there will be a lot of takers for a movie made on Jio launch from the point of view of Mukesh Ambani. Theatre: Theatre has a limited audience but it has a very engaged audience that absolutely loves the medium. Theatre groups could be invited to create a story/play around the brand. For eg: If the business is about airlines, then a story built around an airline could be used to portray that the brand is integral to the lives of the people who consume it. Imagine if Padman the movie could be such a big hit, then a theatre that revolves around a Stayfree and the experiences/feelings it evokes can be such a big hit. If the movie Do Doonie Chaar was such a hit around the brand Maruti Alto or if Musafir could be such a big hit around Scorpio, why can’t we have stories around I-phone X or Samsung Galaxy? Random Standups: MTV used to do a very nice activity while choosing VJs. They used to call wannabe VJs and ask them to perform in front of the camera for a minute. The same could be done for brands. Wherein random people could be invited to enact or narrate something on a keyword that signifies the brand and the footage could be edited and made into a film that could be telecasted on the social media of the company sponsoring the activity. Imagine if a bunch of college kids are asked to do a live performance on their taste the thunder moments and narrate their experiences … or with ManKind pharma products. There could be some very interesting concepts around the first date people have had with their Parle G biscuits or Maggi? This country has a lot of talent when it comes to storytelling. All it requires is unleashing and harnessing it for promoting brands. Hashtag Hero/Heroines: Social media could be used to sponsor a hashtag and a competition could be initiated to spin-n-yarn around the hashtag word. This word could be an important attribute of the brand that connects. I would love to hear or read stories about MakeMyTrip or OYO rooms and how it made memories for individuals that changed their lives. Brand-Themed Music Albums: There are so many competitions on air today that revolve around singers. What if a round was introduced where the top three would be required to perform a song that depicts the songs themed on the sponsoring brands? The singers of course could be offered the help of the leading composers and lyricists to come up with the end product. This could end up reaching a new audience and create new excitement around the brands. I am sure it would be interesting to hear the song that revolves around a glass of Horlicks every morning or how the teenage romance shaped between two neighbours over a cup of Nescafe. How an Amazon delivery could help two strangers living in the same society come closer, two families become friends. The possibilities are endless. But what is important is that as the traditional TV is losing its sheen by being taken over by the social media and apps like Netflix, there is a need to revisit the way brands tell their stories. The need is to make storytelling a multi-way process, like an opera where everyone gets to hum the song along. In this era of social media, where content is generated by anyone and everyone, brands need to generate content that is by the consumers, for the consumers, of the consumers. It is the only way the barriers of boredom can be scaled, and brand stories made to live longer in the coming years. 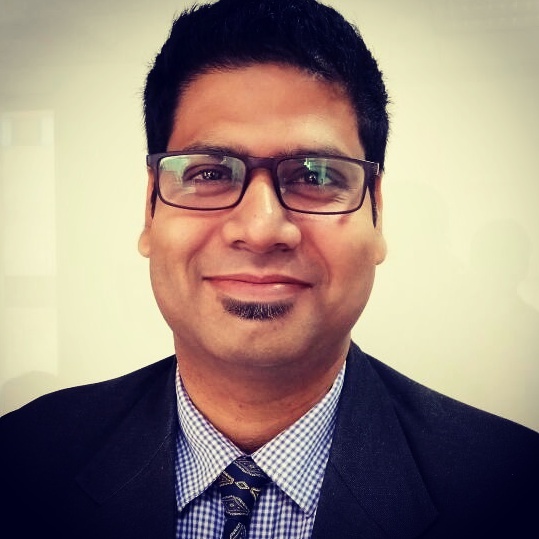 Tilak Chowdhury, manages the communication and CSR of the India Region for the Engineering & Project Management Company Egis. Egis is working on some very prestigious projects in the country which include eight metros projects, three airports, two smart cities, one port, many urban projects like Chattrapati Shivaji Memorial in Mumbai. He has more than 15 years of experience of working with large multinational companies in advertising, journalism, public relations, exhibitions, internal communications and branding. He has been associated with brands like Jubilant Life Sciences, Ambuja Cement, Kinetic, Mahindra in the past. 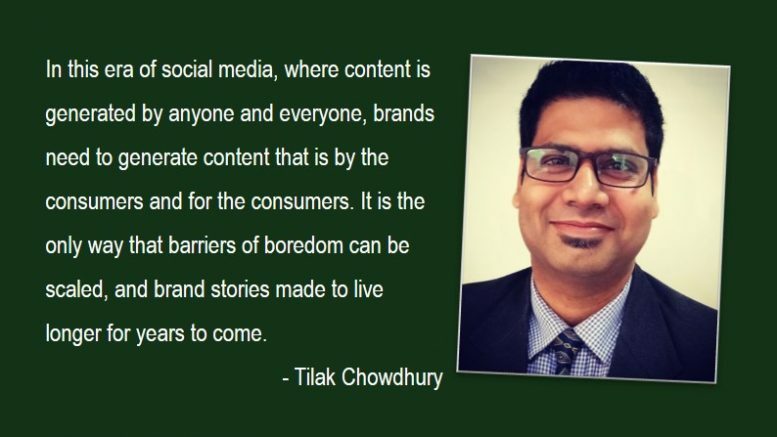 Tilak enjoys reading, watching movies, shopping, blogging, travelling and food. Be the first to comment on "Revisiting the art of storytelling"